I’ve written all about visa runs. Visa runs for under NT$10000. The worst visa run you can do. While stigmatized for a variety of reasons (most notably for their being used by English teachers to teach in Taiwan illegally, which I do not advocate), there are all sorts of people who use visa runs. There are virtual assistants that live in Taiwan because it’s cheaper than other places with similar standards of living. There are people here taking a few years to informally train in a variety of martial arts. There are freelancers. And writers. The truth is, visa runs between Taiwan and Hong Kong have never been easier. You can pick up a round-trip Taichung/HongKong flight for as low as NT$3000 through Hong Kong Express. And with the right travel sense, you could get yourself a four-star visa run for NT$7000. Taichung airport is awesome. The facility is small, but modern, and the entire staff – from airlines to government personnel – consistently bring their A-Game. Taichung has the most efficient border patrol I’ve ever seen, with officers actively assisting travelers in line to ensure rapid transition. You can show up an hour before your flight and have more than enough time to catch it. There’s nothing bad I can say about it. This time I stayed at the Royal View Hotel Hong Kong. It’s located in the New Territories, where I’d never been before. 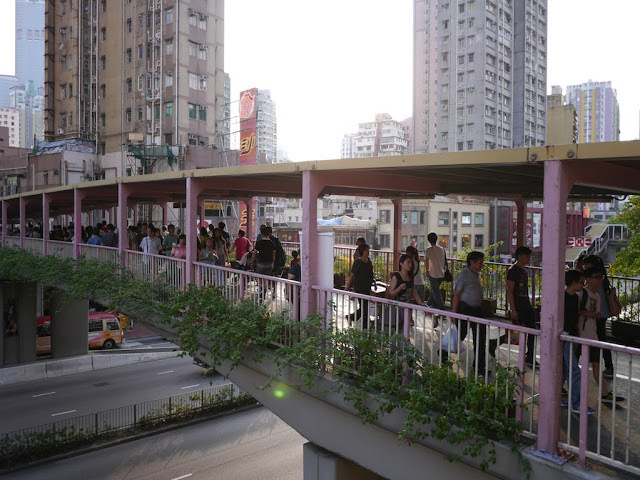 I’ve been to Kowloon and The Island more times than I could count, but the New Territories are often spoken of by Kowlooners/Islanders in a similar way you see Americans talk about flyover states. The New Territories were a challenge for me. While I’m not particularly claustrophobic, I’m also not a big fan of crowds, and Tsuen Wan is packed all the time. Their buildings are so tall they block out the sky, so it’s easy to get turned around and unable to get a GPS signal to regain your bearing. And every single road looks like the name of a Mortal Kombat character. 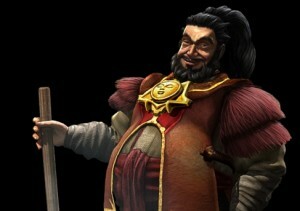 Go home Bo’ Rai Cho. You’re drunk. While the Royal View Hotel claims “Tsuen Wan,” it’s actually a few kilometers from the Tsuen Wan MTR station. Tsuen Wan station reminds me of downtown Manhattan – the Financial district – in the late 80s or early 90s. Only instead of feeling like the center of the global economy, it feels like a 30-square-block de facto bus depot. Traffic in Tsuen Wan is so intense, there are no crosswalks within three blocks of the Tsuen Wan MTR station. Despite the insane amount of coming-and-going, there is very little by way of anything; I walked around for over an hour looking for anywhere I’d be willing to eat and saw very little. I immediately saw why “city fold” talk trash on the New Territories: in Kowloon, I don’t have to walk a block before I find something that works. I expected prices to be better for local food, this far out, but I was sorely mistaken. The best deal to be had was to take to-go sushi back to my hotel room. Finding the shuttle/minibus to take you to the Royal View Hotel was easier than I thought. I actually got frustrated when I first tried to find it, as the Royal View Hotel (unlike other hotels in the area) doesn’t provide any signage to indicate where their shuttle/minibus stops. Fear not: there’s a video guide below. The shuttle/minibus costs HK$10 per rider going from the hotel to the MTR, but it’s free from the MTR to the hotel; a taxi ride is around HK$50. Arriving at the Royal View Hotel, two things were evident: it was “very four-star” but could never be confused for “five-star.” It’s got a nice lobby and top-shelf desk help, but not things like doormen and bellhops. The room was really nice, especially for that price I paid: booking through a “travel site,” you can get it as cheap as TW$2500 (including tax/fees), which you will remember is only double what “The Kowloon Tomb” cost me. Including an empty and sizable mini fridge, microwave, loveseat, queen-sized bed, and stone-style bathroom, it’s well-worth the money. The only issue I had that resembles a complaint resides in that bathroom, specifically the shower. One thing I will never understand is why Asian hotels assume everyone on the planet is shorter than 170cm. It’s frustrating, because all it would take is to outfit showers with a second mounting point, or just install an adjustable one, and you wouldn’t hear a thing from me. That, however, is not my actual complaint: my real complaint is how half of the overhead shower (which is plenty high) had no pressure and half of it didn’t even work. All it would take is a good soak in some white vinegar and that shower head would be good as new. But that’s a perfect example of “why this place is four-star, but not five-star.” That and the bed, which was extremely firm; most four-and-five-star hotels have much softer beds than the Royal View Hotel does. Again, I think this is thanks to how much they cater to Asian tourists who generally prefer firmer mattresses. These are the only two negatives I have regarding my room at the Royal View Hotel. Rooms have both hard-wired internet as well as Wi-Fi; you just use your room number and last name to log in and it’s free for the duration of your stay. The in-house restaurant, Lido Cafe, didn’t strike me as particularly impressive; the cheapest entree on the limited menu was a TW$550 cheeseburger. Actually, its listed lower, but like so many Asian establishments I refuse to patron for this specific reason…they include a 10% “service charge” that doesn’t go to anyone doing any service. But you’ll still be obligated to pay extra cash for sub-par service. What I was most impressed by was the Royal View Hotel’s fitness center. They have lots of machines and plenty of weights, not to mention all the walk-around space. I don’t work out like I should, but I know that people who do should be very comfortable doing so here. The pool area looked nice, too, from what I saw through the rainy Wednesday night on which I visited. One of my friends is a world class powerlifter and, upon seeing the following video, told me, “That is the most well-equipped hotel gym I’ve ever seen.” I am inclined to agree. Hong Kong is notoriously expensive, but the Royal View Hotel shows that a quality experience doesn’t necessarily have to be. Sure, you can spend as much on dinner for two at Lido Cafe as you do for the room itself, but there are other (smarter) options, too. Avoid the hotel convince store, but be aware that there are no convenience stores in walking distance, so stock-up near the Tsuen Wan MTR and put it in the fridge. Sushi Express is the same everywhere: TW$12 per piece. Or simply have your fun in Kowloon, eat there, and then take the train back out to Tsuen Wan. If you’re one of so many expats in Taiwan in need of an occasional visa run, the four-star hotel experience of the Royal View Hotel Hong Kong might be right for you; between my TW$2500 room, TW$3500 flight, and TW$1000 in food/transport expenses, this is one of the highest-class visa runs you can do for only TW$7000. This entry was posted in Taiwan Writings and tagged china, expat, expatriate, expatriates, expats, hong kong, hotel, new territories, prc, review, roc, royal view, taiwan, tsuen wan, visa run. Are there any issues with doing day visa runs? No. You don’t even have to go through immigration in HK (get your HK->TW boarding pass before you leave). Just hang out at the airport for a couple of hours and fly back.